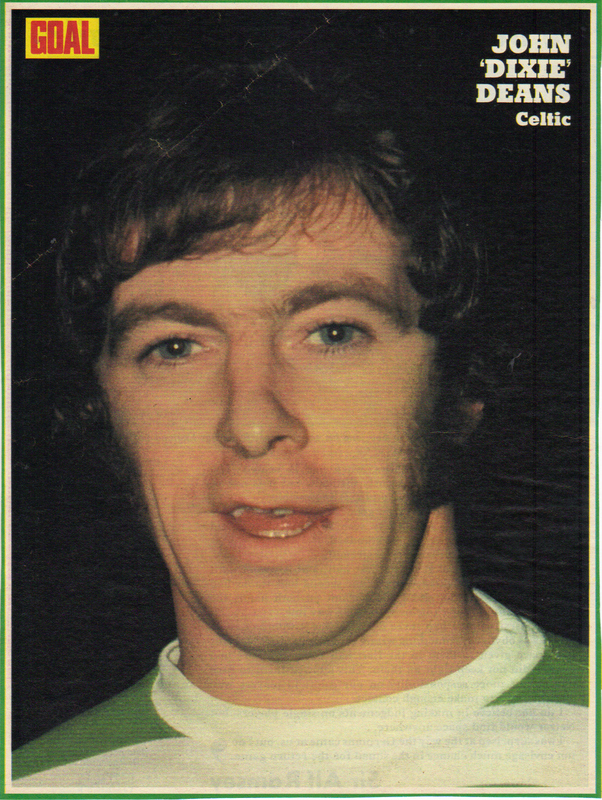 At the risk of sounding like Julie Andrews allow me to humour myself by sharing some old Celtic pictures with you. Here in CU towers we have a piles of old stuff lying all over the place. Mainly we have Eddie’s old DVD’s (don’t ask…), Harry’s old Paddy Power coupons and a pile of old Celtic pictures which are my own. We took to sorting out the place and found a few old images that made us smile at least. Picture 1 – Many years ago Shakin’ Stevens had a number one hit with the song ‘Green Door’. Part of the lyrics were – ‘Green Door, what’s that secret you’re keeping’ ? On Saturdays there was a commissionaire called Bill who stood on guard in a dapper uniform. 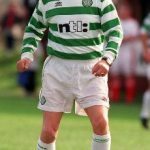 Legend has it that he was so strict it wasn’t unusual for him to refuse entry to Celtic players who did not have the correct identification for entry. 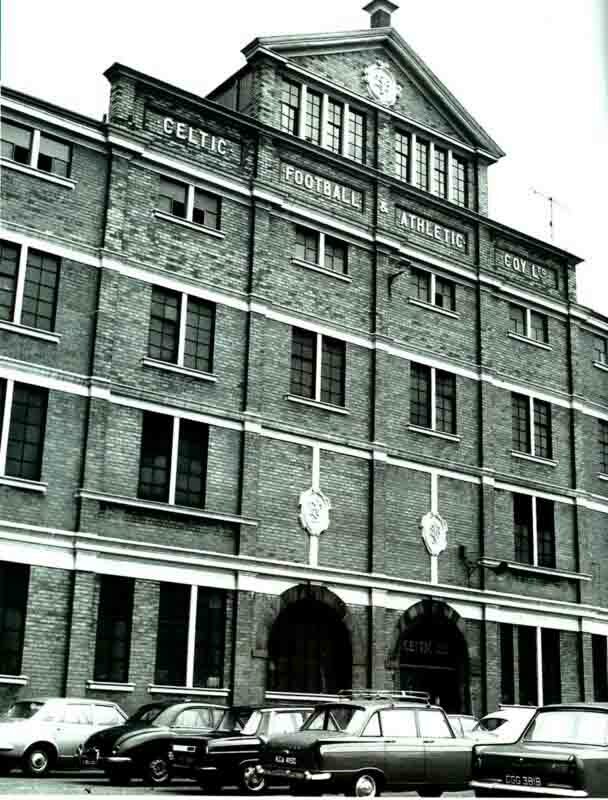 Many a time I stood outside that green door waiting for autographs wondering what went on inside those hallowed halls. 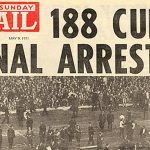 If you never saw it then have a look at the video footage of big Jock carrying the European Cup into Parkhead in 1967…through that same green door. 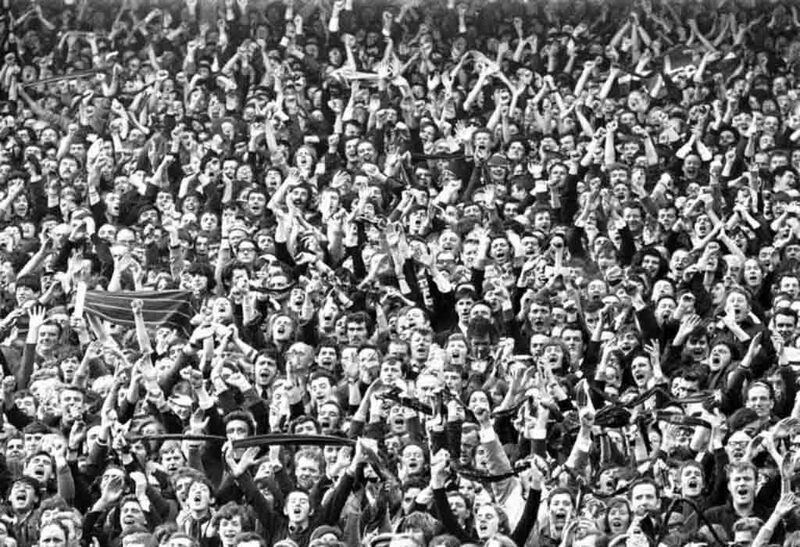 Picture 2 shows the old Celtic end at Parkhead in full voice from the early 1970’s. Have a look at the faces in it. No, have a REAL look. These are men who worked in car plants, shipbuilders, mines and heavy engineering works, industries all but gone from the current industrial landscape in Scotland. Maybe you can spot your Dad or your Granda amongst them. Men who would not have had a great deal of material possessions and for whom Celtic played a huge part in their lives in an age when football was still very cheap entertainment for the working man. There were no plasma TV’s, DVD’s, satellite TV or Ipods for their pleasure and a trip to Parkhead was seen as THE highlight of the week. Look again at the absolute joy in those faces all singing in unison. Jock Stein always maintained that with the Celtic support united behind the team then Celtic could beat anyone. For the benefit of any Green Brigade readers they appear to be singing ‘Roamin’ in the gloamin’. Picture 3 shows five happy Celts with their international caps from 1979. 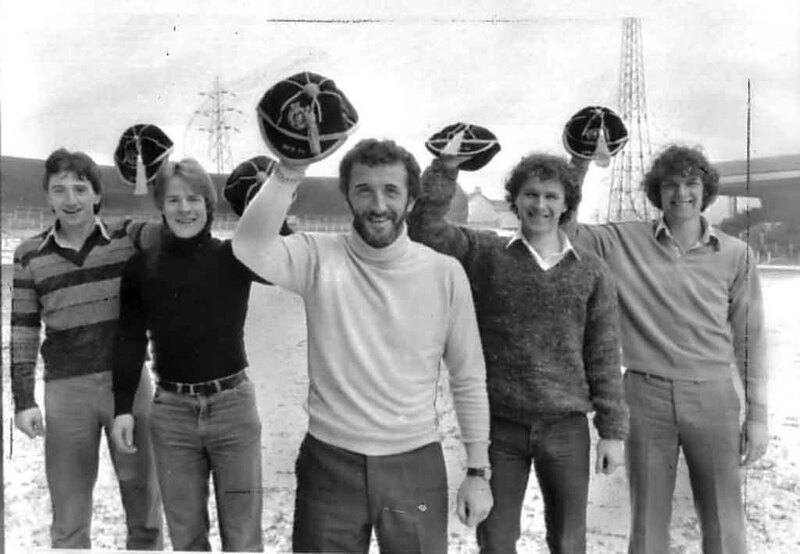 From left to right, George McCluskey and Murdo MacLeod show their under 21 caps whilst Danny McGrain, Roy Aitken and Davie Provan have their full caps. Looks like heavy frost or snow on the pitch so one presumes this was taken in deepest winter. The fashionistas amongst you will notice some grim 1970’s fashion which would make Trinny and Susannah faint. Provan sports a chenille jumper, Danny has his turtle neck top and snake hips Murdo has tight jeans and isn’t the wee barrel shaped guy that I recall. Poor George is wearing a jumper his auntie has obviously bought him from Littlewoods. Picture 4 – A picture of Kenny Dalglish in a Celtic jersey will always bring a smile to my face and here’s two Dalglish’s in the hoops and one of them isn’t Paul. This picture shows those happy lovebirds, Kenny and Marina, shortly before their wedding in 1974. If I recall correctly they were married during the season and big Jock generously allowed them time off for honeymoon – all two days of it. Yep, none of your Beckhamesque tasteless tat weddings for our Kenny. 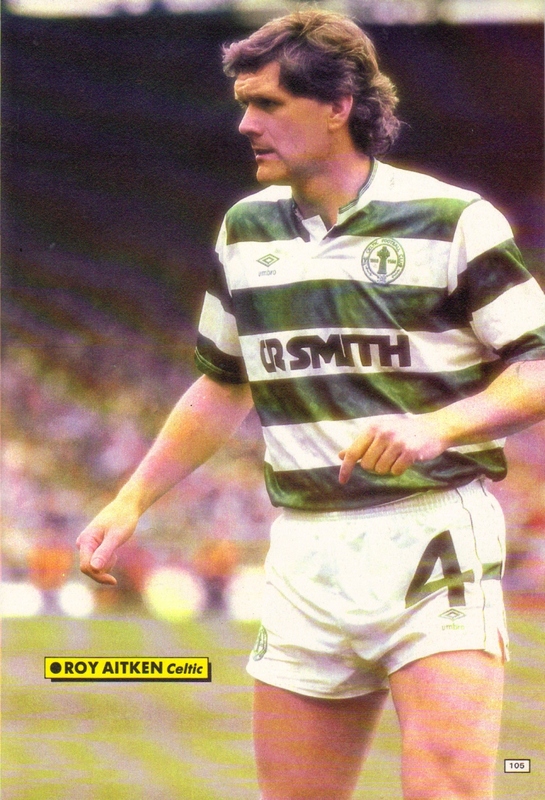 Men were men in those days and our man was back in the fold leading the Celtic forward line the following Saturday. The phrase ‘WAG’ in those days was reserved for those who like a good joke and wee bit of kidding on, totally different from the current term to describe the glamorous but dim females that footballers run around with these days. Mind you, knowing how private Kenny and Marina are these days I wonder what they think of this picture now ? Or, more interestingly, what young Paul and Kelly would make of it ? Picture 5 shows the one and only Jimmy Johnstone. 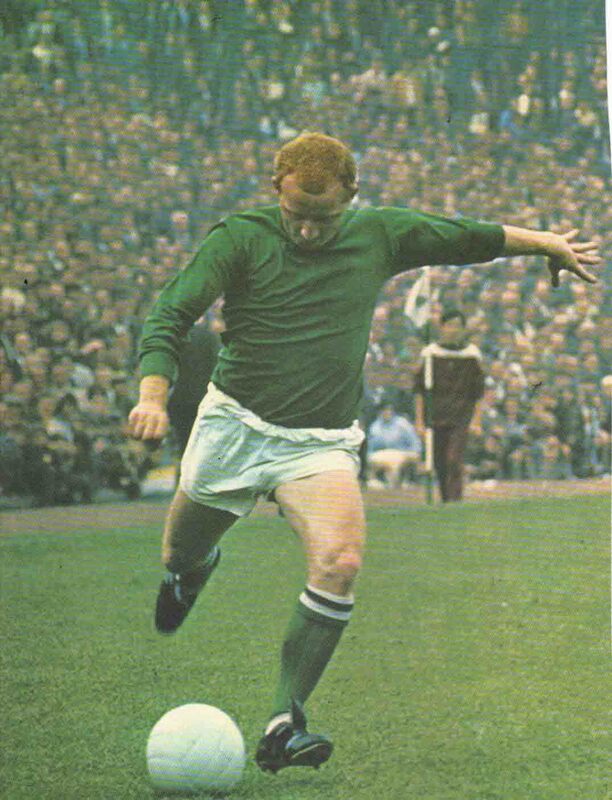 This picture is unusual because it shows Jinky in an unfamiliar green away strip of the early 70’s. This would suggest that Celtic were playing either Morton or Dunfermline as those were the only teams which Celtic were required to change from their traditional hoops to avoid a clash. Look closely and you can see the old green and white striped Celtic corner flags which had a shamrock insignia on them. In those days teams would have their own distinctive logo on the corner flags. A ball boy can be seen also, wearing the smart uniform from that time. I wonder if our own Rossi, from this parish, recalls these during his Parkhead ball boy days ? 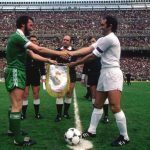 Picture 6 is a gem of a picture which shows Danny McGrain at the absolute peak of his powers in 1977. I never tire of reminding people of just how good a player Danny was. 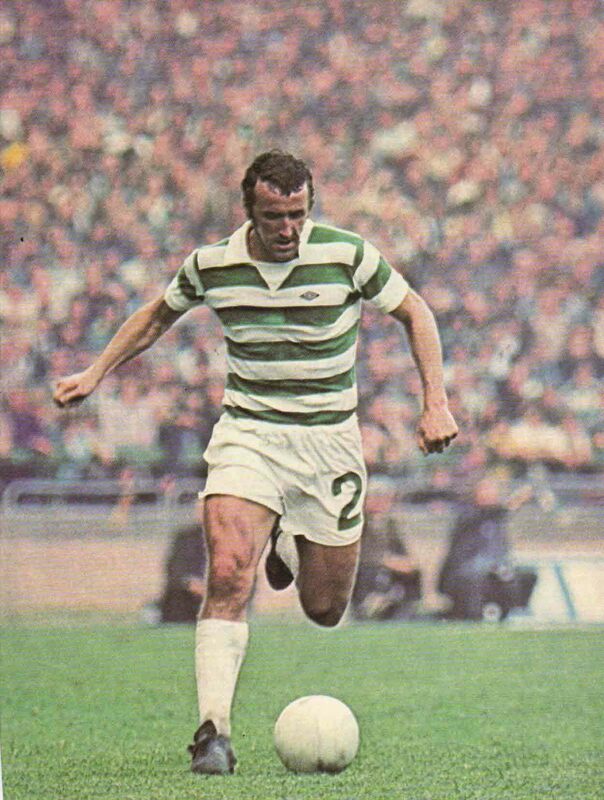 At this time in his career Danny was rated by most football experts as the best full back in the world. Shortly after this was taken Danny suffered a horrendous injury and although he returned he became a slightly different player who now depended on his experience and reading of the game. However he became a talisman figure in the eyes of the Celtic support because when Danny was leading the team you always felt that things were going to turn out alright. Picture 7 was taken at Ibrox in March 1977. Joe Craig is seen lifting a young Roy Aitken as Ronnie Glavin looks on. Roy has just opened the scoring in a 2-2 draw and I’ve selected this one as it was the first time I ever attended a Celtic game at Ibrox. 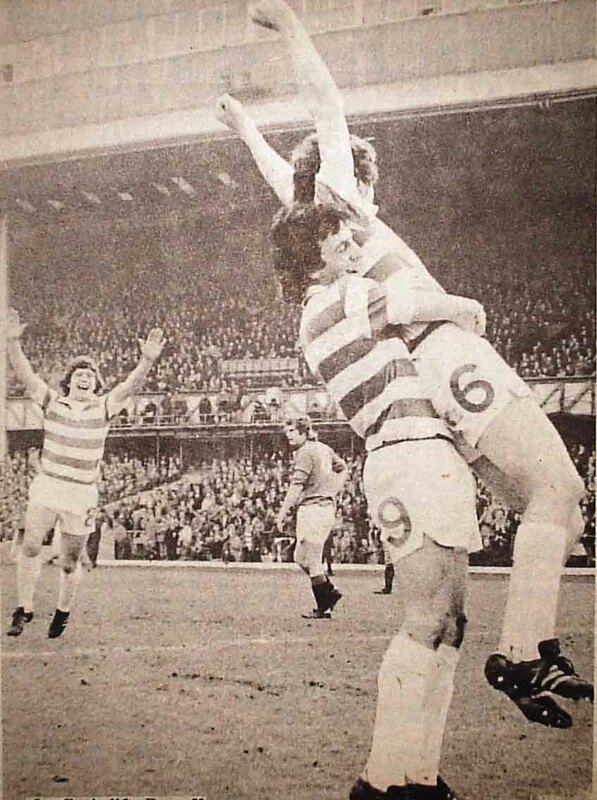 From my recollection I was standing just further back from the photographer who took this although I was in amongst a pile of heaving bodies, being thrown about like a rag doll, as the Celtic fans swayed up and down the old open terracing at Ibrox in joyous celebration. Manchester City have long been my favourite English team and Picture 8 shows action from a Celtic – Manchester City game in August 1970. 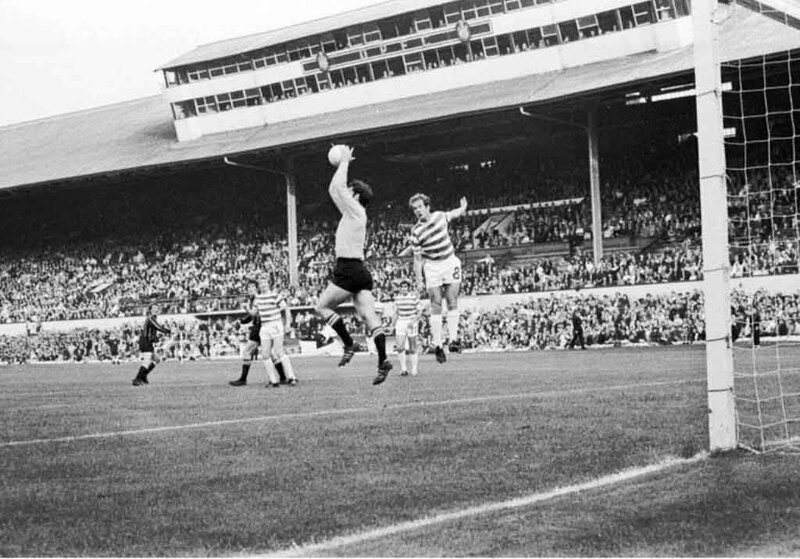 This game had to be played at Hampden Park to accommodate the 80,000 fans who turned out to watch, not surprising as Celtic were European Cup finalists three months previously and City were the reigning holders of the now defunct European Cup Winners Cup with their marvellous forward line of Bell, Lee and Summerbee. City these days are now the billionaire jet setters of the English game with their new Arab owners, a far cry from their old Maine Road ground, surrounded by wee Coronation Street style houses, where I happily watched many games through the years. In the picture, the legendary Man City keeper Joe Corrigan saves from Harry Hood as Summerbee, Booth, Gemmell and Hughes look on. Check out the old Hampden press box above the stand which always sat at an angle and looked like it could collapse at any given time. 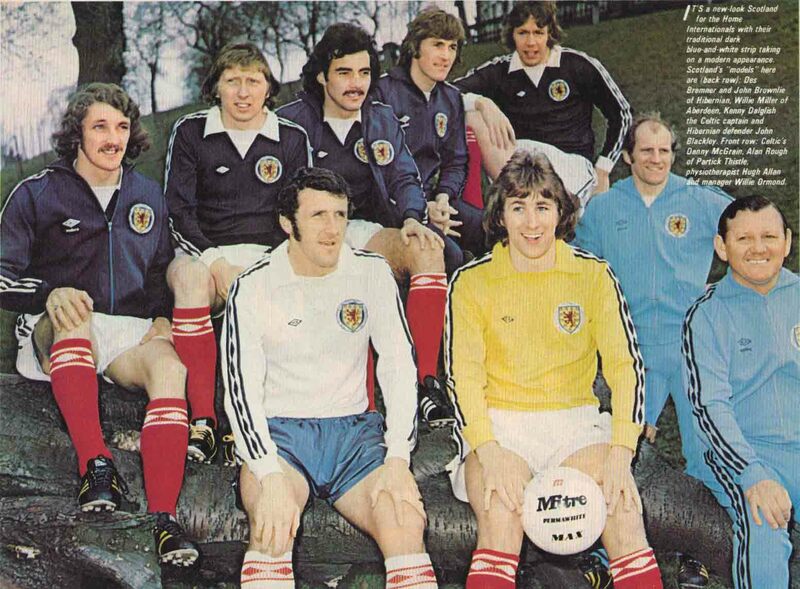 There are no apologies for showing McGrain and Dalglish again in picture 9, this time in the colours of Scotland. The dateline is the summer of 1976 and Scotland’s players from that period sport the new Umbro strip which was ground breaking for that period. Sponsorship was by then taking a hold in the game and this advert prompted thousands of Scots kids too hound their parents to buy them the new kit. I know this from experience as I was given the white strip with the blue diamond trim that Danny is pictured in for my birthday that very same summer. They may look dated now but those strips were the height of fashion at that time when Scotland were actually a force in international football. Surprisingly, this picture shows three Hibs players, Brownlie, Bremner and Blackley, none of whom played a great deal for Scotland. 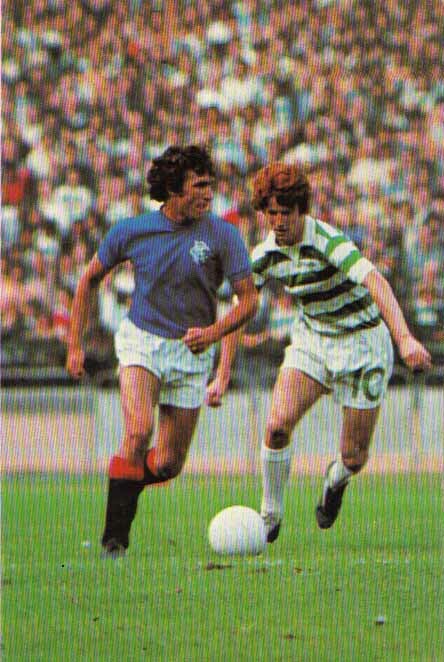 Last picture is number 10 and shows a young Tommy Burns in action against Rangers’ Sandy Jardine from 1976. 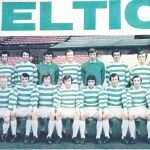 This is possibly the first colour picture of Tommy playing in the hoops as this was one of Tommy’s first ever games in Celtic’s first eleven. 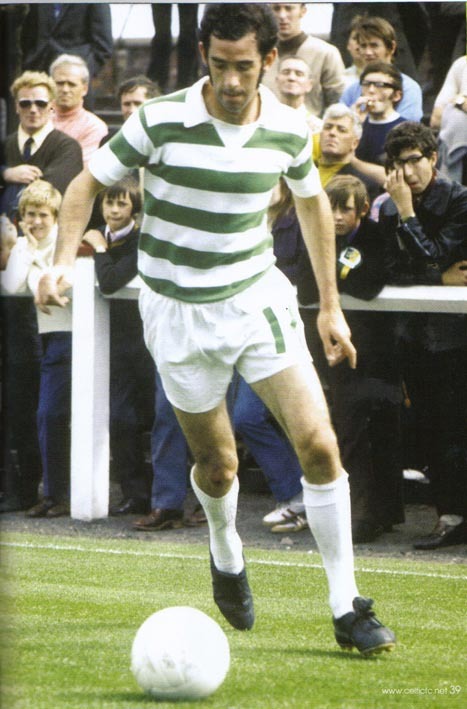 Tommy was easily the most recognisable Celtic player on the field in those days with that mop of flaming red hair. The merits of the bold Sandy actually created a bit of debate on this site recently in an erstwhile article and it’s worth pointing out again that Mister Jardine was a fine footballer, a real class act. In recent times he has become something of a cause celebre amongst the Ibrox support during Rangers’ administration and subsequent liquidation.